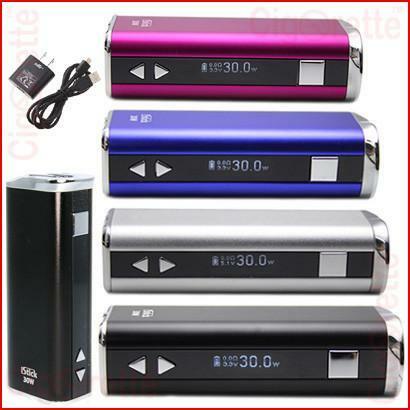 iStick 30W MOD is an advanced VV/VW personal vaporizer that has a 2200mAh capacity, compact palm-held size, and fashionable metallic appearance. 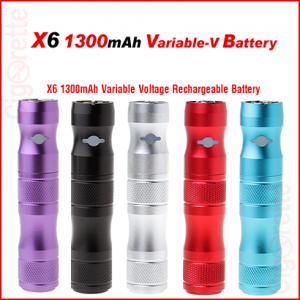 It has powerful functions, and multiple protection controls such as atomizer short-circuit protection, over 10s protection, and low-voltage protection. 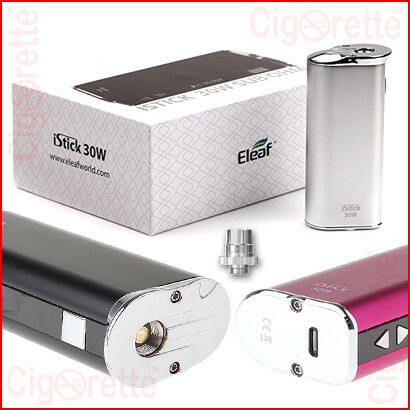 With the voltage lowest to 2V and highest to 8V, wattage lowest to 5W and highest to 30W, iStick 30W can support sub ohm coils, fulfill your vapor demand, and serve your vaping habits. 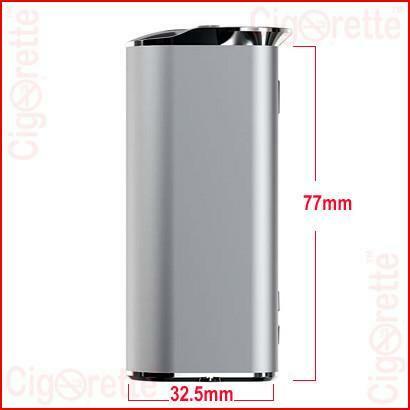 iStick 30W MOD is an eLeaf TM Advanced Personal Vaporizer (APV) product that has a small palm-held size and fashionable metallic appearance. 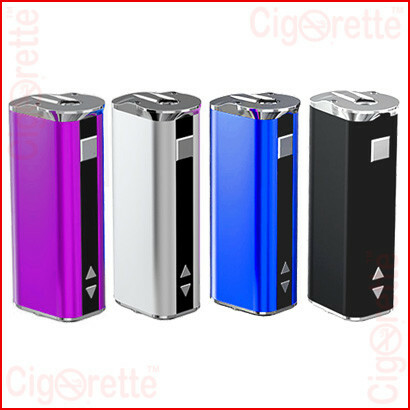 Four colors are available: Silver, black, blue, and red. While the functions are powerful, the highlight is the incremental OLED (Organic Light Emitting Diode) screen. 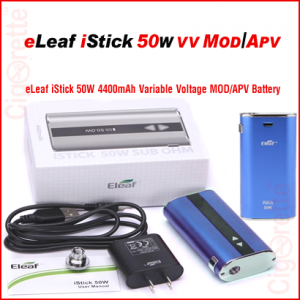 Expanded range of output voltage/wattage: With the voltage lowest to 2V and highest to 8V, wattage lowest to 5W and highest to 30W, iStick 30W can support sub ohm coil, getting ahead of other products at the same level. 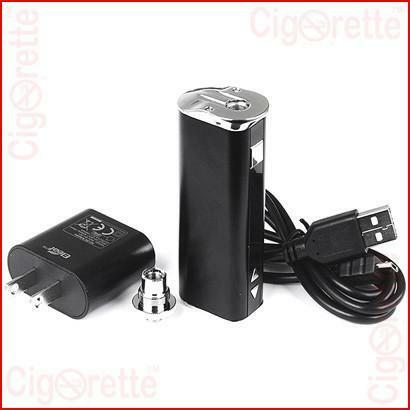 Additionally, it will fulfill your heavier vapor demand and serve your vaping habits. Newly introduced spring connector ensures high adaptability and durability. The connecting thread is of a stainless steel material that makes it hard to wear. 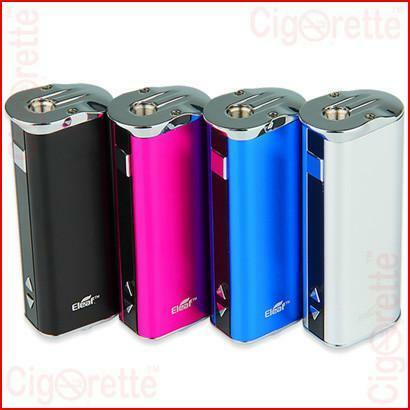 Arrow Button Lock Functionality: Keep pressing the up-arrow button and down arrow button simultaneously for 2 seconds when the battery is on, they will be locked to avoid accidental presses. You can do the same operation to unlock them. 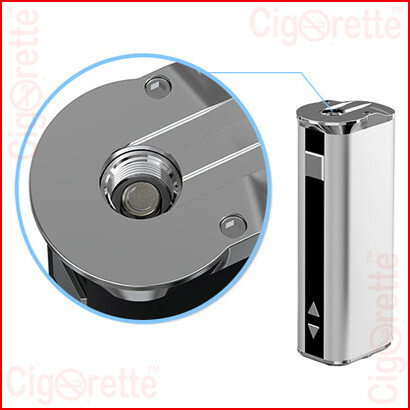 An added button lock functionality protects the buttons and prolongs their service life. Finally, you can charge the iStick 30W through the USB port at the bottom of the battery. 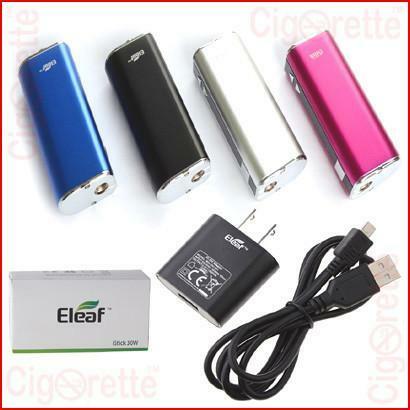 It will take 2.5 hours to charge the battery with a 1A wall adapter. 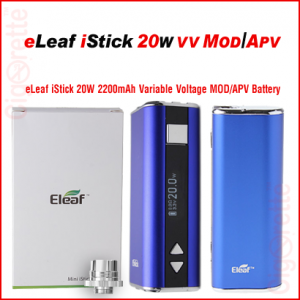 Hey Buddy!, I found this information for you: "Eleaf iStick 30W MOD". 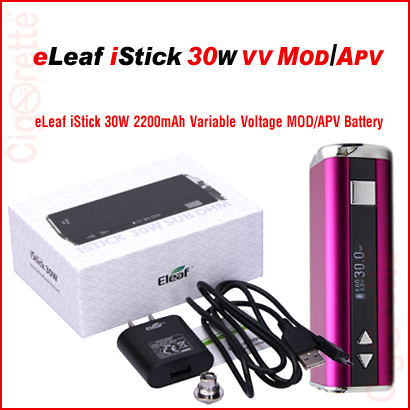 Here is the website link: //www.cigorette.com/shop/batteries/variable-volt-batteries-mods/eleaf-istick-30w/. Thank you.